When it comes to packing up books, don't just throw them into a cardboard box and put it in an outdoor shed where moisture and temperature fluctuations will leave them covered with mold and mildew. 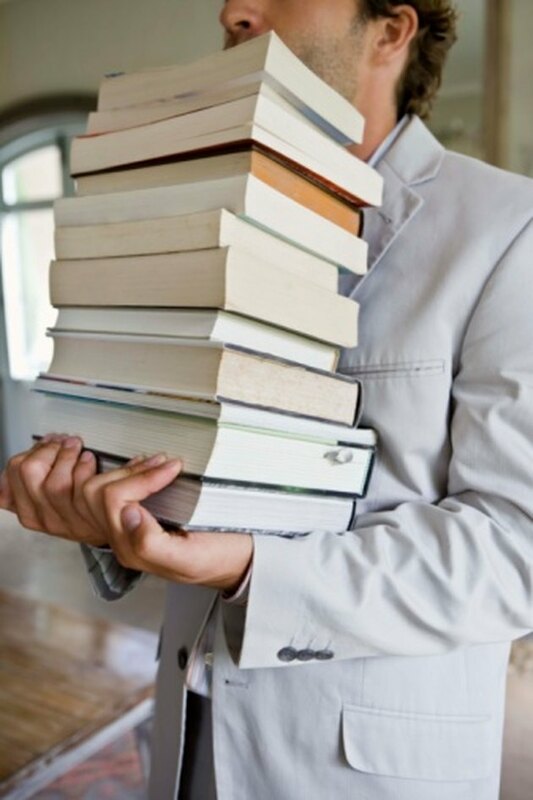 To store your books you'll need to take a few precautionary steps to ensure they are well protected, so that when you retrieve them they are good shape. Preparing your books for outdoor storage needs to be done carefully. Collect enough plastic storage boxes with lids, no larger than 1½ cubic feet, in which to store your books. Using a box this size keeps the books from becoming too heavy to lift safely. The plastic also keeps moisture out while they are stored in the shed. Divide your books as needed to group them together by size. Keep smaller paperback books separate from larger hardcover books to make packing as efficient as possible. The more books you can pack together, the less space you'll need for plastic bins in your shed. Pack your books into the plastic boxes by aligning them upright they way they would normally rest on a shelf. Turn around every other book to alternate which side the spines are facing to avoid the spines becoming cramped and damaged in storage. Make a list of the books you are packing together, if desired, as they go into the box to create a catalog of what is inside. Keep the list on top of the books in the box so when you need to find a book you can quickly scan the list and know if it is inside without disturbing how the books are packed. Fill in empty spaces in the bins with smaller books or balled up newspaper to make the space as snug as possible. Place two to three silica gel packets into each box once the books are packed. The silica will help absorb moisture from the air inside the box while it is in the shed. Place your packed plastic boxes of books in your shed on the ground or along sturdy low shelves. If your shed has windows, avoid placing the boxes where they will be in direct sunlight during the day. Do not lift the boxes over your head to store them or they may be difficult and dangerous to get back down.